Disclosure: I am a compensated brand ambassador for Robin Wilson Clean and received products to facilitate this review; all opinions expressed are my own. Has spring cleaning happened in your home yet? We had a major deep clean a couple weeks ago, but with two small kids I feel like I'm back at square one already! 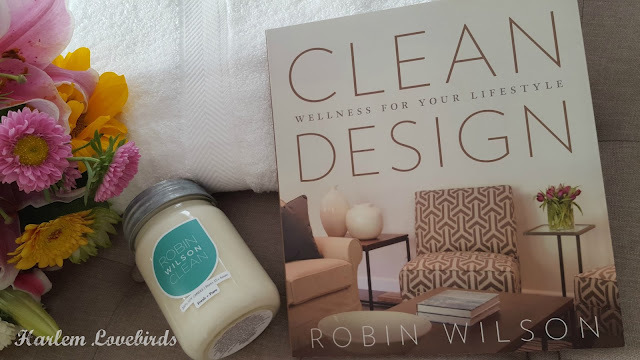 With Earth Day approaching this Friday I've partnered up with Robin Wilson Clean to share a few tips, and I have a special giveaway at the end. One of my favorite ingredients for natural cleaning is using lemons (Nia and I have a fun how-to video coming up later this week! ), and from the microwave to garbage disposal, Robin's shared 10 uses for cleaning your home with lemons in this blog post. 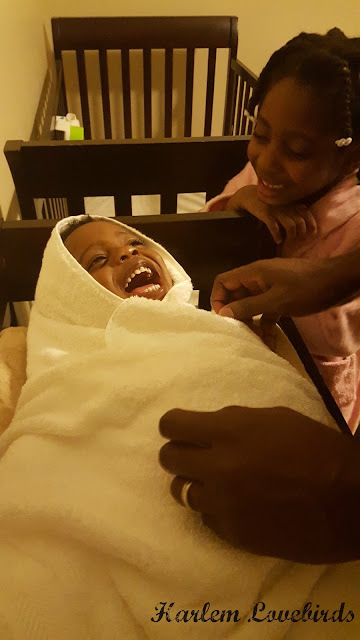 There's nothing better than wrapping yourself in a fluffy towel after a bath and Grayson was happy to be surrounded in Robin Wilson Clean's 100% Supima Cotton Towel - his big sister may have been a bit jealous! It's from U.S. cotton and provides a sustainable solution to bath time in your home. I tend to be a bit Type A when it comes to my towels, and I loved that the 100% Supima Cotton Towel left no lint on Grayson's skin and quickly absorbed water - I can't stand those towels that feel like like they're not soaking anything up! The towel's very soft to the touch, and while I'm a fan of all white towels you can find many colors to choose from here in the Robin Wilson Clean shop. I wish there was a way to convey the scent of the Fresh + Pure soy candle through the screen, but once you open the lid you will be completely addicted! Pre-kids I was obsessed with candles, but now with kids I've been a bit nervous so my candles stay on my desk for me to enjoy. The Fresh + Pure scent is tropical without being cloying - it's aromatherapy while I work! OK! 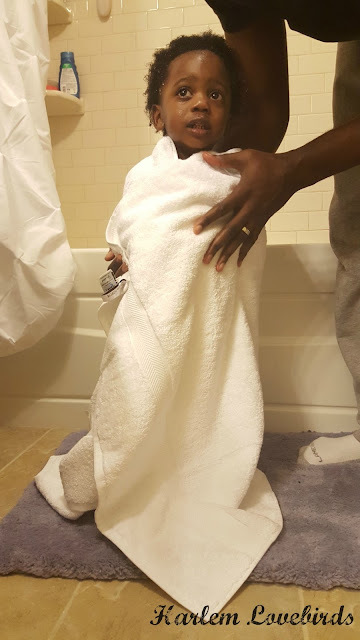 I have to share one more picture of Grayson wrapped in his towel - anyone else agree there should be a Tumblr dedicated to babies wrapped in towels?